You need Uber taxi in Montenegro? If you thought to book taxi Uber at Podgorica airport or somewhere else in the city, unfortunately you will stay disappointed. In today's world, we are all looking for something that is good and cheap. Why would transportation differ on anything else? But it should be. Taxi Uber in Montenegro, Podgorica, Budva, Kotor or any other city is not available, because simply it is not operating in our country. There are several reasons for this, and we will give you the most important ones. The first and basic reason is because such a business is not in a compliance with the transportation law that is valid in our country. We heard a lot of times from our clients who came to Montenegro that they tried to make a reservation for Uber taxi at airport Podgorica to travel to Kotor, Budva, Ulcinj, Tivat or some other destination. But unfortunately unsuccessfully. The law regulating the area of taxi transport is very clear. License is required for each mode of transport and so on taxi transportation. That is the first and basic document. It is needed equally to each entrepreneur, and to taxi association registered as a company in Montenegro. Uber taxi in Podgorica tried to establish a business and enter through one local association, but this is an unspecified information. With the license, as the main document, it is necessary that each vehicle registered for public transport must have an Excerpt of the license. This practically means only one, private persons and private vehicles that do not have properly issued documentation from the Ministry cannot carry out transport. The communal police in charge of traffic control is sanctioning any form of illegal transportation, taking the prescribed measures and regulations. Uber taxi at Podgorica airport or in Kotor, Budva, Ulcinj Montenegro cannot work. Please read carefully why. Do you think that someone who does not possess the qualifications, prescribed by the law necessary for performing some activity should have a right to work? Would you feel safe to be in the car together with your family and that your driver had problems with the law in the past? 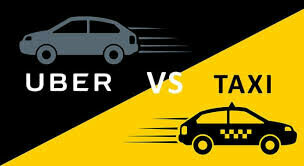 What do you think is it safe to travel with a driver for whom you are not sure if he has a medical certificate that he is able to perform the work of a taxi driver? Uber in Podgorica Montenegro must fulfil all requirements of national law before it can start working. Do you think that the certificate of knowledge of the city and the region is a redundant document? Is it safe to drive into a car that has not undergone a technical inspection that is mandatory for taxi vehicles every six months? In Budva, Kotor, Podgorica Uber taxi is not allowed, as well as in the rest of Montenegro. But actually question is do you really need it. What is the point, why do people use this form of transportation? The only reason that is acceptable is the lower price of the service. But in Montenegro this is really impossible, the prices of taxi services are very acceptable and it is difficult to find anywhere else in the Balkans better price. From airport Podgorica Uber taxi is also unnecessary, we can provide transfers at the unbeatable prices. Comfortable class cars, professional and friendly drivers, scheduling transfers in advance without a reservation fee, all at incredibly affordable prices, do you really need anything else?